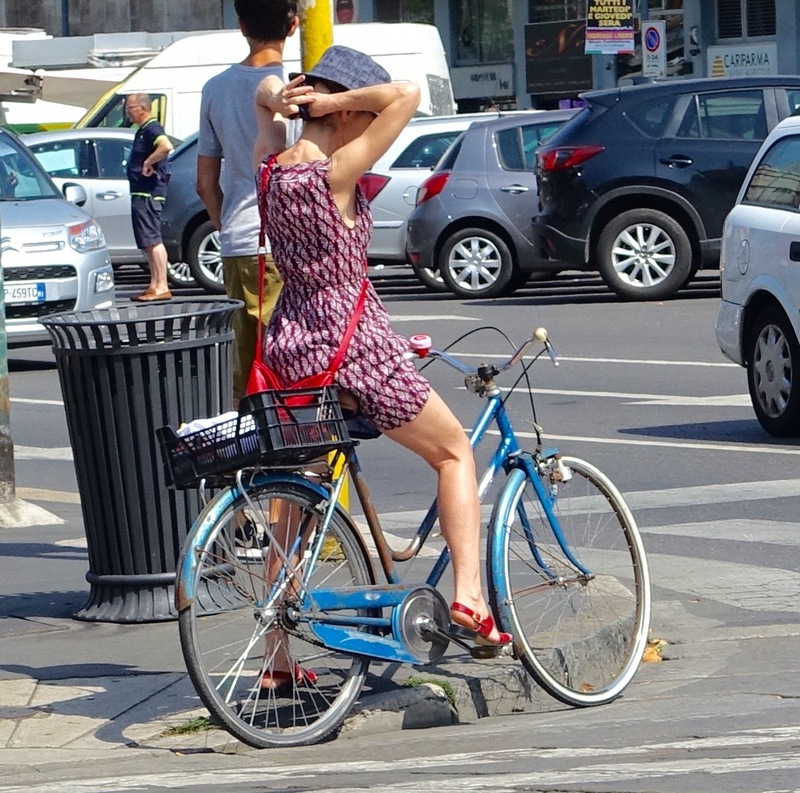 From my observations every time I have visited Italy and up to last week’s trip to Milan, I am eternally impressed with the way Italians avoid a brutta figura calamity. 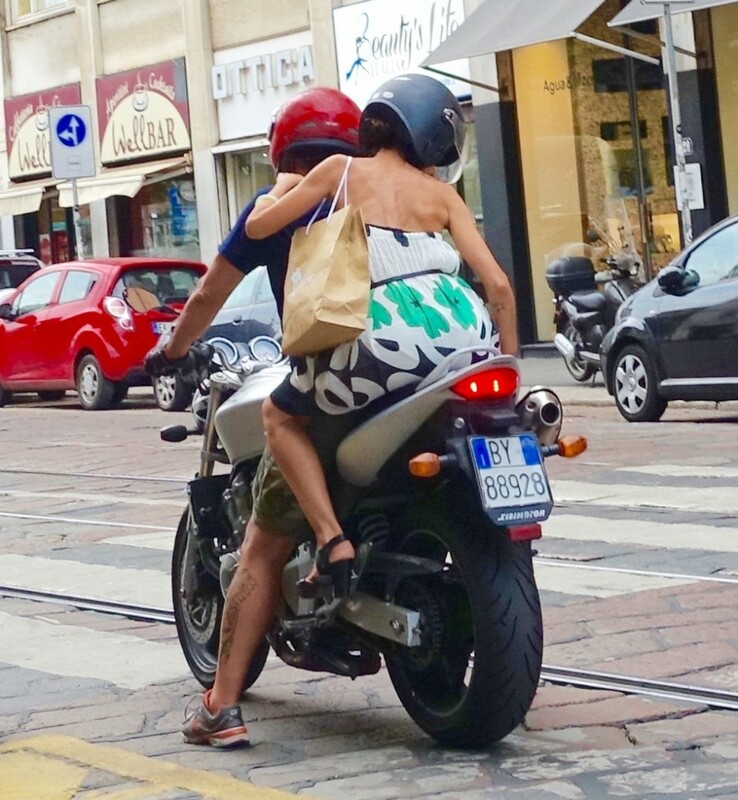 Italian dress exhibits exceptional attention to detail. 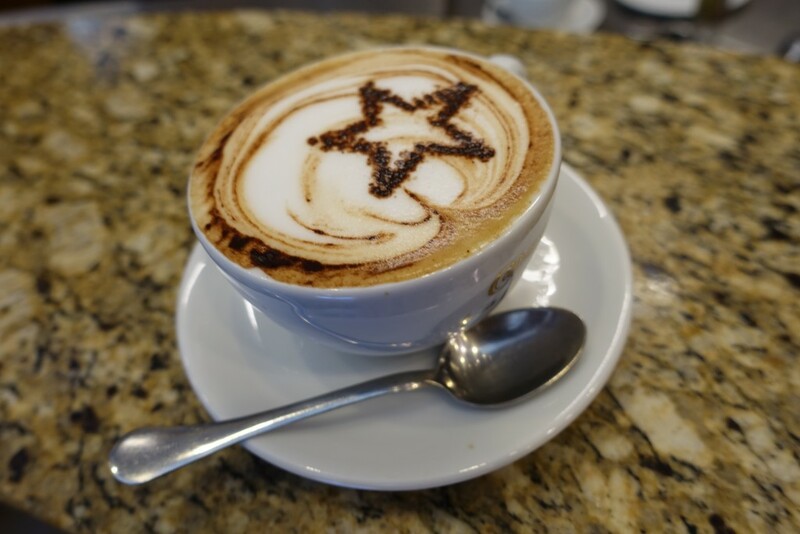 Likewise, the way Italians carry out daily life is infused with style, as you see in the flourishes of chocolate powder on a cappuccino which must be drunk standing up. 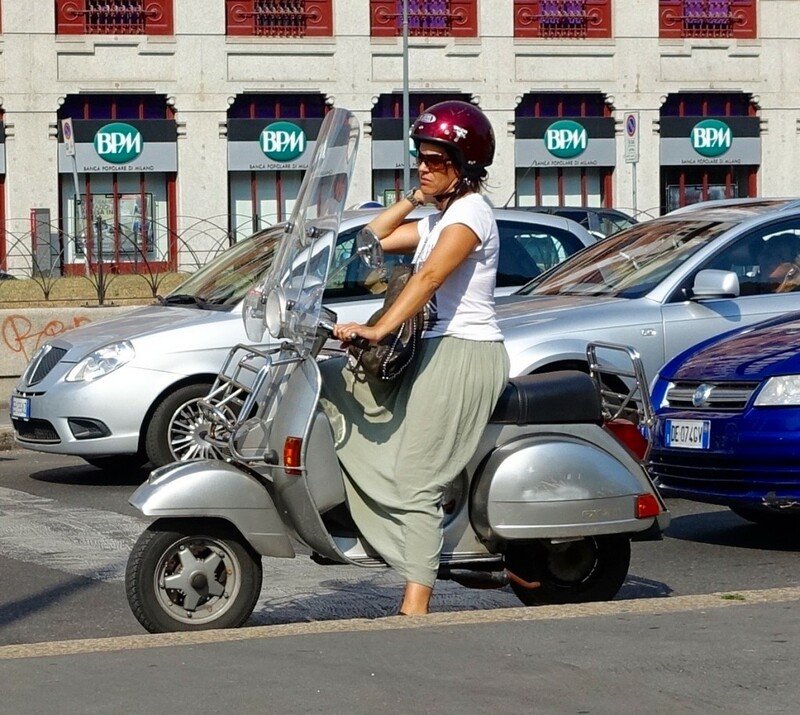 I am particularly charmed when I see Italians getting around on bicycle, Vespa, or motorcycle dressed in practically the same manner as if they were being chauffeured around in a towncar. 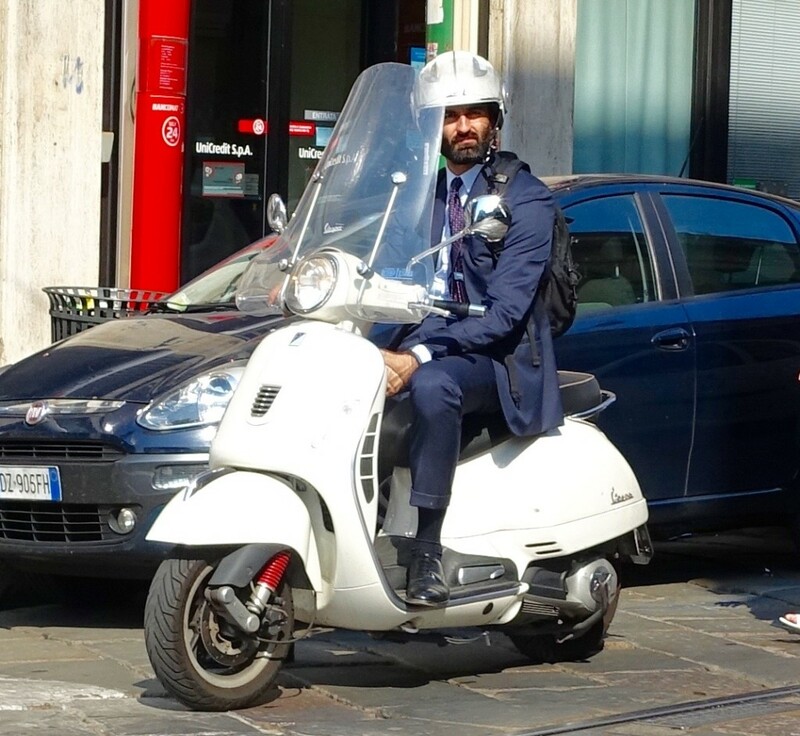 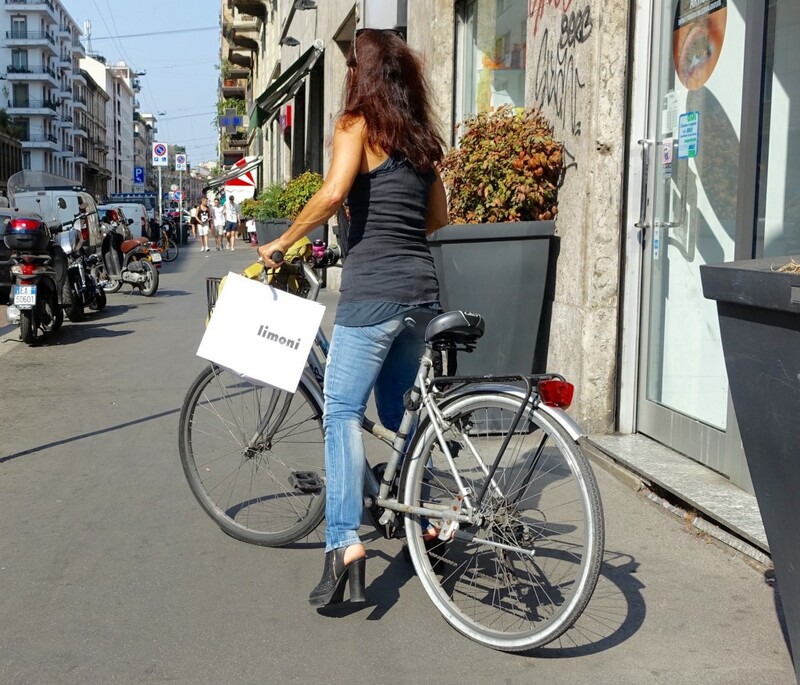 Here is a collection of my 10 favorite glimpses of stylish bikers in Milan. High heels and bike pedals are a popular blend. 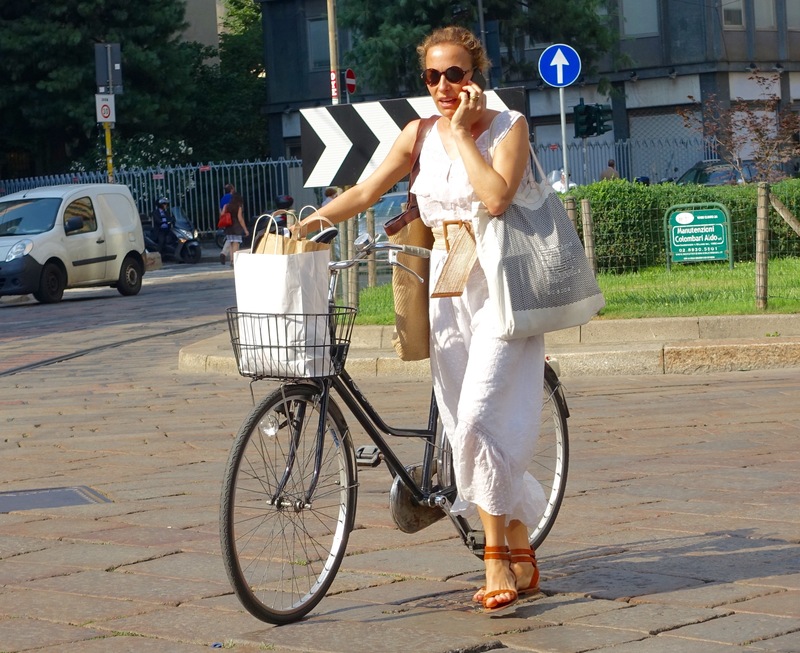 I love seeing cyclists gesture in that oh-so-Italian way while chatting into bluetooth devices. 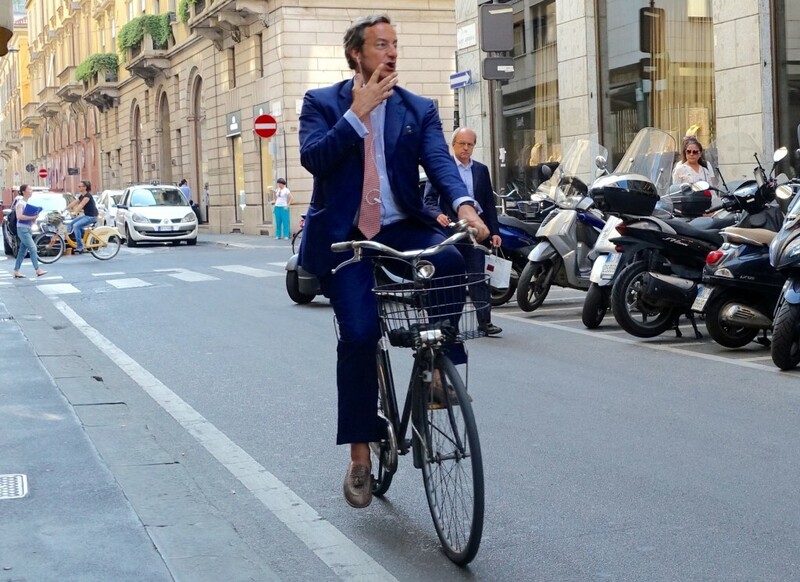 I also quite like the loafers without socks look. 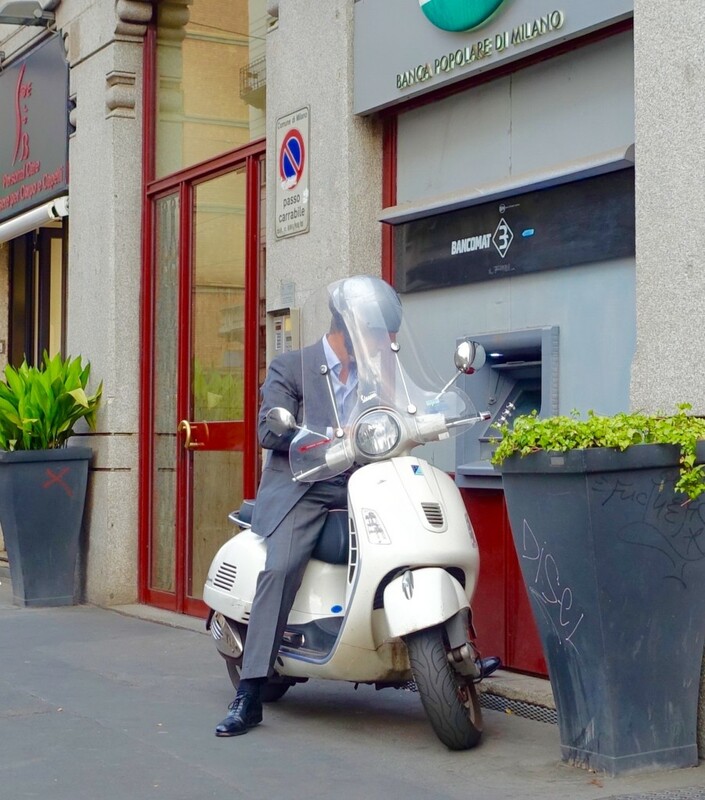 As Italians break fashion rules in favor of amazing style, the way this gentlemen rides straight up to the cash machine seems to me to be amusingly cavalier. 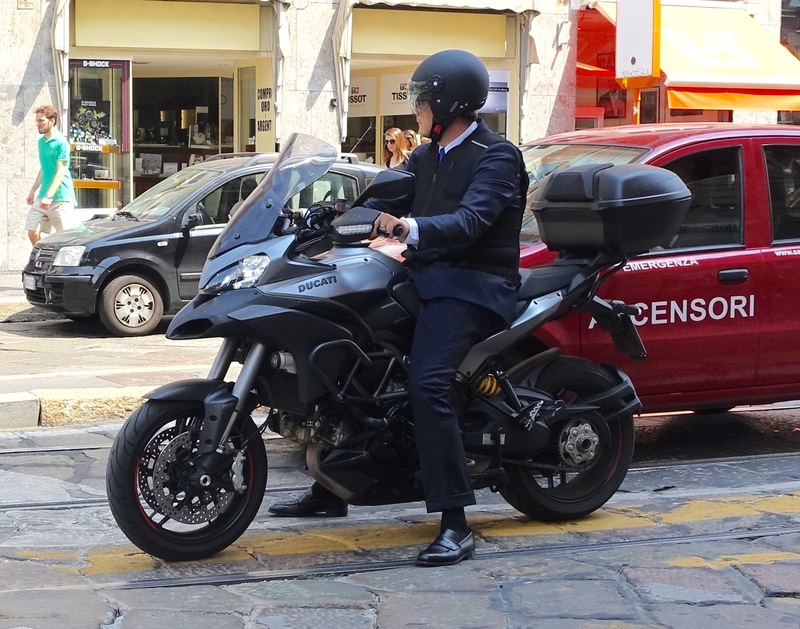 Yes, among Italians, it seems second nature to steer clear of brutta figura disasters. 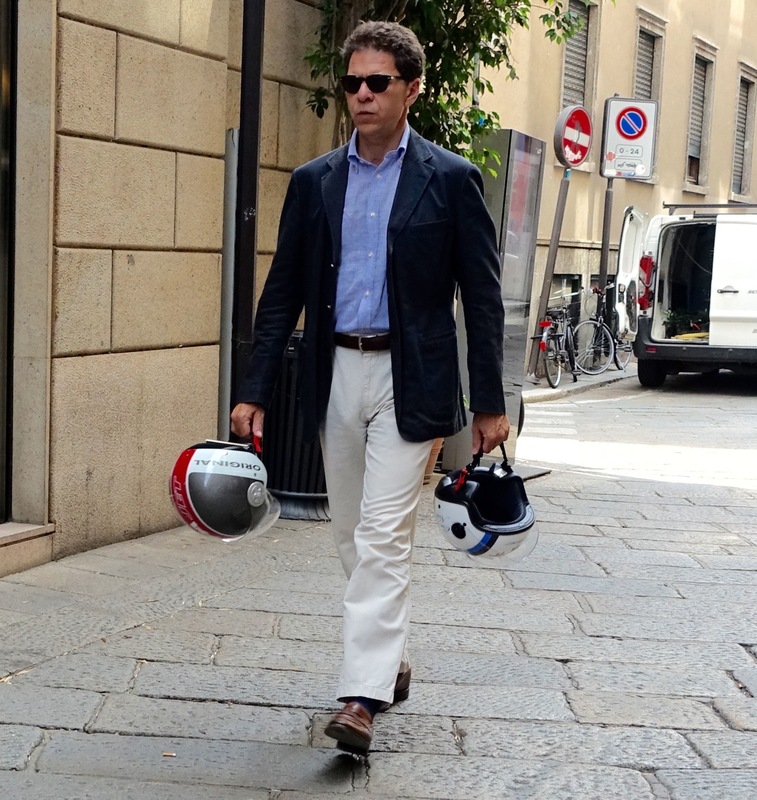 Don’t you agree that the Milanese pictured above exude style from head to foot…to wheels? 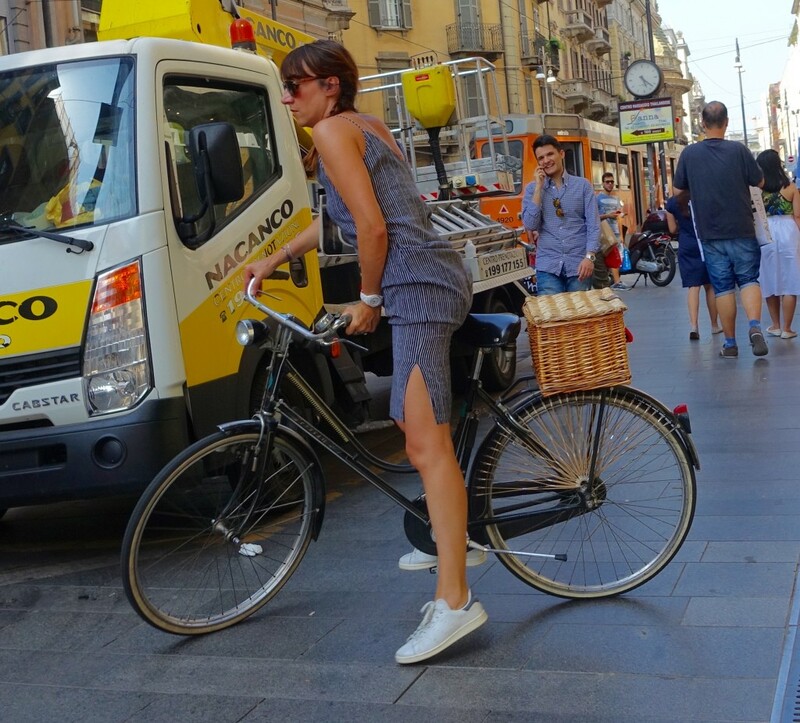 I am captivated and charmed by every part of this stylish post!